The results are strikingly different from past clinical trials that progressed through disparate systems linked by manual interventions causing delays, data quality issues, or cost overruns. The EDCPro Clinical Trial Data Centre promotes streamlined data gathering, facilitating site performance management, which in turn results in effective centralized data control, through a comprehensive single system data management process. Therefore, the EDCPro Clinical Trial Data Centre represents an evolutionary step forward, enabling prudent and continuous oversight for drug developers, which in essence is an insurance policy in the context of containing drug development costs and investor pressures for risk mitigation. EDCPro brings the whole team together. 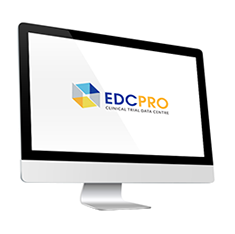 When all data systems, processes and staff integrate seamlessly in multi-layered coordination of a clinical trial, then the study is said to be managed by a Clinical Trial Data Centre − EDCPro.